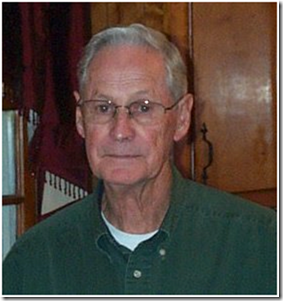 Roy Lee Sams, 83, of Countryside Drive, Forest City, passed away March 17, 2019 at White Oak Manor of Rutherfordton. A native of Rutherford County, he was a son of the late Walter Lee Sams and Mary Reid Sams, and also the widower of the late Frances “Mickey” Morgan Sams. He was a member of Tanners Grove United Methodist Church and retired from AGI after many years of service. Roy had a deep love for family, especially his grandchildren. He also enjoyed NASCAR racing, camping, and spending time with his family. He was also preceded in death by a brother, William Sams, a sister, Martha White, and a great granddaughter, Morgan Collier. Survivors include his son, Boyce “Duffie” Sams (Teresa) of Forest City; a daughter, Amelia DeVue Sams of Forest City; brothers, Marshall Sams (Betty) of Fredericksburg, VA, Roger Sams (Laura) of Bostic, and Raymond Sams (Laura) of Shelby; sisters, Geraldine Carpenter (Robert) and Patsy Mode (Doc), all of Ellenboro; grandchildren, Andy Lovelace, Sam Lovelace, Leslie Greene, and Kellie Smith; eighteen great grandchildren, and three great great grandchildren. The funeral service will be held at 12 noon on Wednesday, March 20, 2019 at Tanners Grove United Methodist Church. Interment will follow in the church cemetery. The family will receive friends from 10:30 until 12 noon on Wednesday in the sanctuary of the church. Memorials may be made to Tanners Grove UMC, 151 Tanners Grove Rd, Forest City, NC 28043.